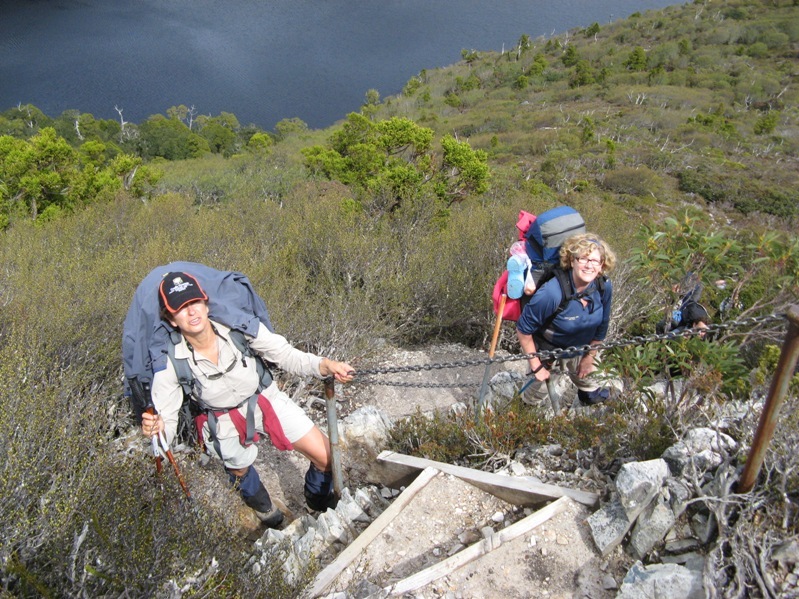 Every now and then we come across a jewel of information about the Overland Track in Tasmania. In the following video, shared on our Facebook page by Mark Finlay. you get a real feel for the track conditions, scenery and huts. It is a delightful production and we enjoyed every minute of it. Overland Track from rfphotographics on Vimeo. 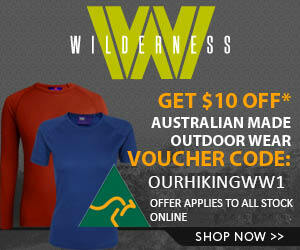 If you have done the Overland Track and want some great memories, check out this video. Alternatively, if you are planning the trip from Cradle Mountain to Lake St Clair, study this video closely. You will learn a lot and see why you need to be prepared for all types of conditions. Thanks Mark for giving us the heads up on the video and letting us know our How to Hike the Overland Track ebook was very helpful. Wow, what a great job and what a happy group. I am smiling from ear to ear. I loved the map, video editing, and music. Man oh man you have a lot of water, mud, and moss in your part of the world! Just think I now have traveled on foot in Australia without leaving my chair. Now that is scary. I only saw it last night and had to get it up asap. It is a terrific production AND represents what the Overland Track can be like. In fact, it really moved me and has got my feet itching to get back there again, soon! btw, for Tasmanian walking track conditions that is just light mud as the track is quite well maintained because of the number of people who walk it in season each year. This video shows a little bit of the mud on the South Coast Track but it gets a lot deeper than that….. Cheers and book a flight, we will guide you for fun! Grat video, that pretty much sums up our experience of the OT…..snow, a bit of mud, beautiful landscapes, but also a lot of wildlife, Oh and we didn’t get the boat, but who wouldn’t want to miss the extra two days of hard slog………..? Yes well I’m not such a huge fan either. We started that end and didn’t know any better, the rest was still hard but more enjoyable. A little demoralising arriving at Narcissus after 2 days to find fresh and eager faces just stepping off the boat! Plenty of wildlife at Echo Point too! We lost a plate and had the bottom of 2 of our plastic cups chewed out…all on the first night!!! Note to self, metal mugs next time! Great video, it brings all the memories flooding back. It turns out Mark and his group where only about 2 days ahead of my wife and I. We both commented on the snow man when we got to Windy Ridge. Would have to highly recommend making the trip into Pine Valley, reached the hut by lunch and then in the afternoon we to walked up to the ridge under the Acropolis. The views are fantastic. The day we left to take the ferry down Lake St Claire it was brillant blue sunshine, we both felt very emotional about leaving such was the impact the 7 days had on us. We wanted to turn around and go back. It is so true preparation is the key to enjoying the trip no matter what the weather. Make sure you pack those gaiters. Met a couple from Europe who didn’t have them by the second day in they wished they had packed them. Stunning! I’ve been thinking about starting to play around with filming and editing some hiking videos. It’s not easy to make hiking interesting to watch! Mark has done a brilliant job. I want to hike the OT even more now!